Hey have you guys heard about this deflategate thing? Wouldn't it be hilarious if you had deflated Patriots balloons at your Super Bowl party? Well Party City sees your clever request coming a mile away and would like to let you know it is ready to help. 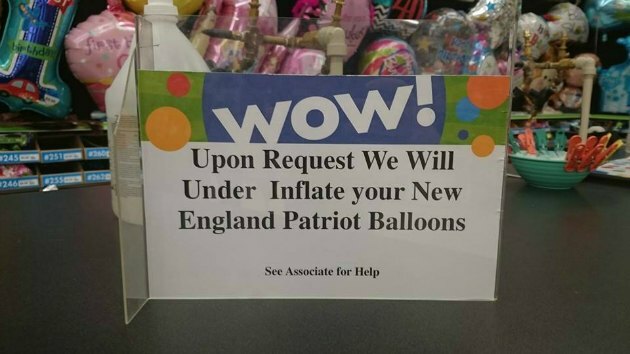 It seems in addition to the endless stream of deflated cookies, and donuts and branding opportunities, people are looking to stock up on deflated balloons and Party City is happy to oblige, judging by this sign posted to Reddit. Someday people will stop making Deflategate jokes, and that day will be the best day.